For each food item brought to the Library–$1.00 will be subtracted from overdue fines–up to a maximum of $10. Only non–perishable, unexpired, store-sealed items will be accepted. All food brought to the Library will be donated to the Alameda County Community Food Bank. Don’t have fines? 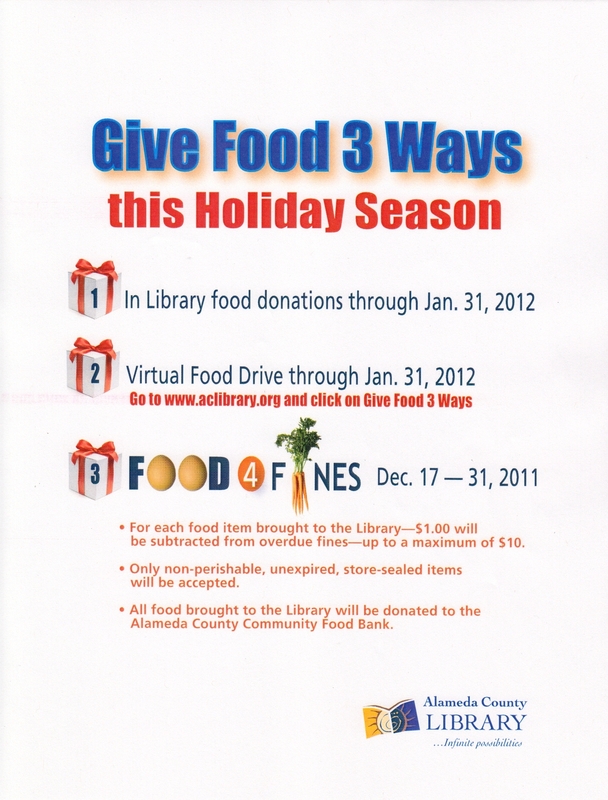 You can still donate by bringing food donations to the the library through January 31, 2012. You may also donate to the Virtual Food Drive through January 31, 2012. Go to www.aclibrary.org and click on picture: Give Food 3 Ways.